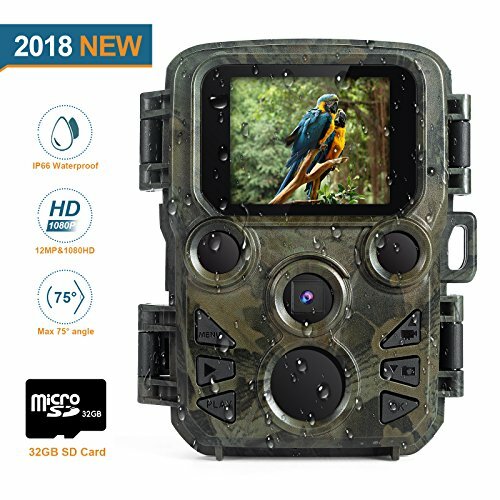 FLAGPOWER Mini Trail Camera, IP66 Waterproof Design for Wildlife Hunting and Home Security, including 0.4-0.45s superfast trigger times, zero second delay between triggers, 60 degree Wide Angle Lens. It takes clear images(up to 12MP) and 1080P video clips with sound and 3 pictures shot each time guarantee you'll never miss any unforgettable moments. This camera is compact in size and light in weight, not just widely used for outdoor scouting games and wildlife observation, but also popular in home and office security. If you have any questions about this product by FLAGPOWER, contact us by completing and submitting the form below. If you are looking for a specif part number, please include it with your message.